Thanks for checking us out! Redeeming Grace Baptist Church exists for the sake of the gospel and to make disciples of Jesus Christ. Here you can explore more about our purpose and ministry. We hope to see you on a Sunday soon! Check out the various ministries at RGBC. We are an "all hands" congregation meaning that we believe there is a place for everyone to serve and for everyone to be equipped in their walk with Christ. Each of our ministries reflect our desire to see the gospel transform lives. Learn more here about each of our ministries. We believe that our church has the responsibility of equipping the saints for the work of the ministry. It's our hope that our sermons and ministry links will aid Christians to be better equipped for ministry. Check out the links and be challenged in your walk with Christ! RGBC believes strongly in the Great Commission. It's our conviction that the local church is ultimately responsible for making disciples of all nations. Through financial support, short term missions, ministry partnerships and a vision for church planting we want to impact the world with the gospel of Jesus Christ. We were created to know and enjoy God, and to depend on Him for our every need. Sadly, though, we often look to the things of this world to satisfy us, and we are constantly tempted to rely on ourselves rather than on God's wisdom and power. 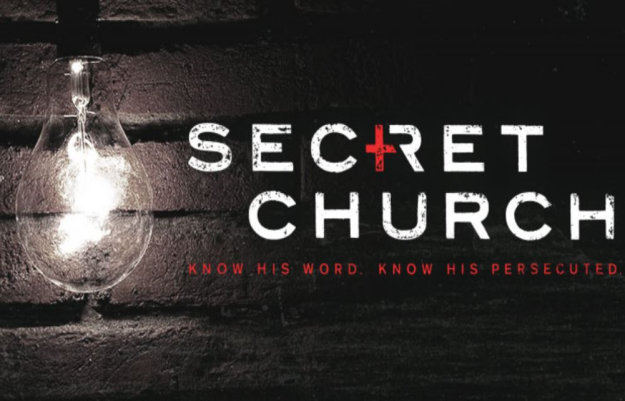 In Secret Church 19, we'll see that all of Scripture invites us to pursue God, and we'll see how crucial the role of prayer and fasting is in this pursuit. Beginning in Genesis and moving all the way through Revelation, David Platt shows us that God has designed prayer and fasting not only to meet our daily needs but more importantly so that we might find greater intimacy and satisfaction in Him. We'll also see the critical role of prayer and fasting in carrying out the mission Christ gave to His church—to make disciples of all nations.